Your experience matters! Use it as a catalyst into your next career, your next promotion, or the next big adventure you’ve been dreaming of! 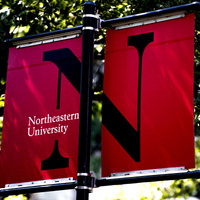 Northeastern is here to help your “next” become a reality. Join us on Saturday, April 27 from 9:30 AM to Noon to Experience Northeastern where you can explore our programs — including bachelor’s completion, certificates, master’s and doctoral degrees. You will also learn about interdisciplinary workshops, experiential learning opportunities and stackable credentials — an immediate way to boost your career before you complete your degree. Connect with our faculty and admissions representatives to get your questions answered. Attend breakout sessions specifically designed to help you determine what program best fits your needs. Learn about ways to stay connected to and engaged with our current students and alumni. Tour our state-of-the-art location in Uptown Charlotte and be entered to win great raffle prizes. Continental breakfast and check-in will begin at 9:30 AM. We can’t wait for you to experience Northeastern with us!